Lee College actors prepare for “Every Christmas Story Ever Told (And Then Some).” From left are Marc Glover-Garcia, Marci Barrientos, Beth Powell, Mary Arrigo, Frankie Moncada and Mason Lauderdale. After a while, the reindeer and elves and snowmen and Whos and all the fantastical creatures of Christmas can start to blend together like the green beans and gravy at the big feast. 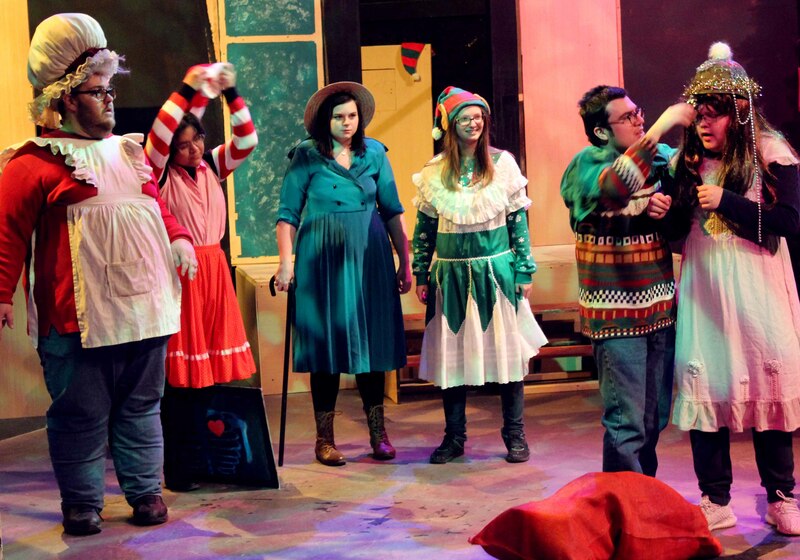 The Lee College Players’ upcoming production of “Every Christmas Story Ever Told (And Then Some)” takes an over-the-top comic mix-and-match spin on the holiday stories we all grew up with. There will be just four performances, starting Thursday night, Dec. 6, and ending Monday. All shows are in the black box theater of the Performing Arts Center. Showtimes are at 8:30 p.m. Thursday, 7:30 p.m. Friday, 2:30 p.m. Saturday and 7:30 p.m. Monday. Tickets are $15 (Lee College faculty, staff and students $8). For tickets, go to www.lee.edu/pac or call 281.425.6255.